Where can I find a public restroom with a quality baby changing station? This is a compliant heard often by mothers and fathers around the country. Hopefully, luck is on your side and a commercial restroom is nearby with baby changing station supplied by USA Building Supplies. 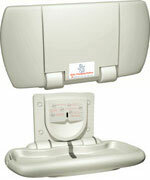 USA Building Supplies represents American Specialties which is known for their sturdy baby changing stations. USA Building Supplies' baby changing stations feature built in towel dispensers and safety straps. 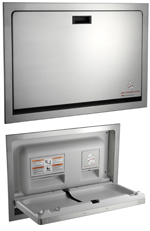 Choose a baby changing station which is made out of primarily high density polyethylene or stainless steel. Contact a division 10 specialties expert at USA Building Supplies to discuss the best restroom equipment for your facility. 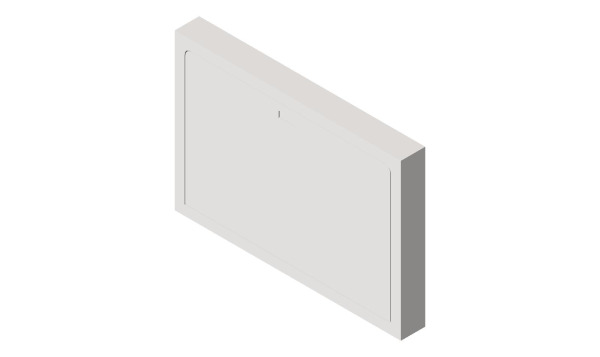 Shop our entire line of division 10 restroom supplies online now for high-quality commercial restroom products at the best value.